Something occurred to me recently about Boulder, Colorado’s growth and development strategies. It struck me that in the 1970s, many Boulder residents came to decide that the popular growth and development tactics of that time were so commonsensical and so progressive and effective that such tactics would forever be necessary. They had drunk the Koolaide of the 1970s, in other words, and had become hard headed zealots who would forever crusade for all eternity to “save” Boulder by holding fast to these strategies. Not holding tight to them would be an unforgivable compromise that would ruin Boulder. The problem, though, is that today in the 21st Century, an overwhelming number of scholars and professional practitioners have come to realize that many of these 1970s tactics that are held so firmly by so many Boulderites are terribly outdated and quite counterproductive. These 1970s tactics are outdated because they are pro-car, which makes them anti-city, anti-environment, anti-walkability, anti-transit, anti-bicycling, unsustainable, anti-affordability, anti-sociable, bad for city character, and bad for quality of life. Support for large building setbacks. Support for very low densities. Support for large lot single-family (residential-only) zoning for neighborhoods. Support for free-flowing car traffic. Support for zero population growth. Opposition to small lot sizes. Opposition to buildings taller than 1-2 stories. Opposition to large numbers of people living in the same home. Support for requiring developers to provide abundant off-street parking. Support for using speed humps and stop signs. 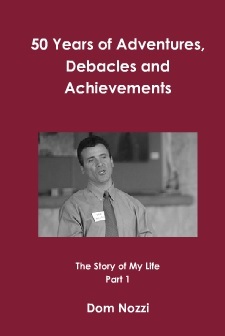 Each of these tactics have now been thoroughly discredited in recent decades. 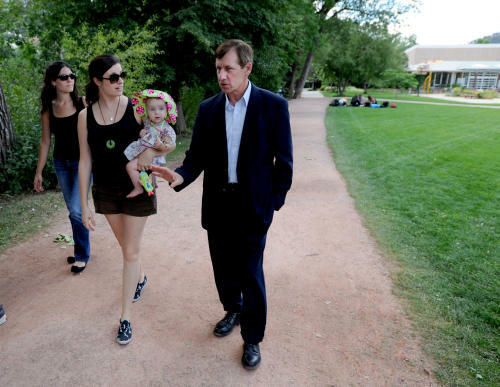 Why are so many in Boulder so stubbornly holding on to these outdated ideas? My guess, at least in part, is that the 55,000 acre greenbelt the citizens taxed themselves to buy since the 1960s has been so successful in promoting quality of life that a lot of folks wrongly concluded that the entire bundle of growth and development strategies from that era remain valuable. I’m sorry, but while the greenbelt idea remains as powerfully effective in the 1970s as it is today, the list of other 1970s strategies I mention above must be tossed out as failures that are inhibiting Boulder’s ability to retain and continue advancing toward a better future. Another possible reason comes from Thomas Kuhn’s Structure of Scientific Revolutions (citing Max Planck). Kuhn would note that many Boulderites who continue to cling to the outmoded 1970s tactics had invested so much of their lives and their efforts into those ideas that they are now unable to discard them despite overwhelming evidence. Such people, Kuhn would point out, are simply not able to accept the idea that they wasted so much of their lives and efforts promoting concepts that are now known to be wrong-headed. Many such people will go to their graves continuing to believe in the 1970s tactics (regardless of how overwhelming the counter-evidence grows), because it is too much of a terrible blow to admit they were so wrong on topics they had grown to accept as eternal iron laws. Under this grim Kuhn scenario, Boulder’s best hope is that the Old Guard will, through attrition, grow smaller and smaller as they move from Boulder. Or die off. Recently, a Boulder CO online newsletter published an essay I had written describing my vision for the redevelopment of the Boulder Community Hospital site (also known as Alpine-Balsam) that the City of Boulder had purchased and was planning to redevelop. Two Boulder friends of mine, who admirably tend to express support for compact, walkable urban design, noted as well to me their support for modernist architectural design in the redevelopment. It was very disheartening for me to hear of their support for modernism. I believe that modernism would greatly contribute to undermining the potential success of this redevelopment – success that could serve as a model for future development in Boulder. I prefer traditional design over modernist design. Traditional architectural design tends to be much more readily loved by most people. This makes a great deal of sense, since by definition, traditional design has stood the test of time. Not surprisingly, there is a fair amount of research suggesting that traditional architecture, such as Georgian and Victorian terraces and mansion blocks, contributes to our wellbeing. Beauty makes people happy. By contrast, modernist architecture tends to be shocking or repellent to most. Visual preference surveys by Tony Nelessen conducted throughout the nation consistently shows this to be the case. Traditional design tends to be more kind and interesting to pedestrians due to the use of ground floor windows, front-facing entryways, and building ornamentation. By contrast, modernist design has a bad habit of offering sterility and lack of place-making at the ground level. The Modernist paradigm makes “innovation” the design imperative, which arrogantly assumes that there is no reason a new, untested design cannot reliably achieve admiration and greatness. Modernists throw away design rules that have stood the test of time in creating buildings that are pleasing and comprehensible to most. Throwing away rules is a recipe for creating incomprehensible, unappealing, unsustainable garbage in the vast majority of cases. It is akin to handing a typewriter to a monkey and expecting the monkey to type out the works of Shakespeare. An “innovative” paragraph, perhaps, but incomprehensible, utterly ugly, and chaotic. Note that I do not intend to suggest that architects are as uneducated as monkeys. To the contrary, architects tend to be highly intelligent. But by throwing out time-tested design rules, architects voluntarily blind themselves to design intelligence. To me, it is exceptionally tragic that modernists are doing to our communities what the above paragraph does to writing. To abandon writing rules, and to abandon the timeless rules of neighborhood design, we abandon what should be (and has been throughout history) the beauty and elegance of the written word, and the beauty and elegance displayed by so many of our historic neighborhoods. High-tech conservation and solar energy methods, similarly, are often used by modernists to gain favor and have people look the other way with regard to the unfortunate, unpleasant building design. “Are you not impressed by my triple platinum LEED-certified building that conserves so much energy?” Pay no attention to the fact that the building looks like Soviet-era brutality. Despite the conventional wisdom that contemporary buildings perform far better than older, traditional buildings when it comes to energy conservation and overall environmental sustainability, it turns out that traditional, older buildings tend to be inherently much more “green” environmentally than modernist building design. One reason is that traditional design tends to more often deploy passive conservation methods such as overhanging pitched roofs. Such roofs are much more effective than modernist flat roofs in shedding snow and rain. The traditional pitched roof much more effectively avoids costly moisture leaks from pooled water, or collapse from excessive snow weight. The roof overhang provides shade from a hot sun. Traditional buildings tend to be more appropriately oriented to take advantage of the cooling and heating cycles of the sun throughout the day and in various seasons. Modernist buildings tend to “innovatively” disregard such passive strategies. Traditional building design also tends to use more durable building materials (such as brick, masonry, and wood), and use locally-sourced materials. This reduces the energy costs of initial cost, maintenance, repair, and replacement. By contrast, modernist buildings tend to use more exotic, difficult to maintain materials such as vast amounts of glass or polished steel. Because traditional building design is more likely to be loved than modernist design, the building is more sustainable and environmentally friendly simply by the fact that by being lovable, citizens are more likely to want to protect and repair the building, rather than tear it down. The prolific tearing down of modernist buildings we have already seen in great numbers (due in part to their unlovable nature) is extremely costly in terms of energy conservation and environmental conservation. This frequent demolition of modernist buildings is certain to continue in the future. It is entirely inappropriate to associate political or ethical values with building style or design. Boulder residents have a long, unfortunate history of counterproductively opposing higher-density development with the justification that such development harms Boulder’s small town character, is environmentally destructive, or creates traffic and parking congestion. Ironically, it is low-density development that is more responsible for such problems. The essential need to shift Boulder’s politics toward support for more compact development shows why it is extremely important that compact, walkable, higher-density buildings be lovable in design. Using more lovable traditional design is a powerful way to gain more acceptance of compact design in Boulder. A great many people in Boulder dislike compact development because it is associated with “boxy” or “monolithic” or “sterile” buildings. The last thing Boulder needs is for ugly buildings to give compact development a black eye. Modernist buildings are also infamous for not fitting in with the context of their location (an inherent problem when “innovation” is the key design objective). Each of these traits are typical of a modernist building, whereas a traditional building is more likely to feel friendly or compatible in or near existing neighborhoods. But there are many examples of admired neighborhoods in Boulder that are primarily traditional: Mapleton Hill, Iris Hollow, Dakota Ridge, Washington Square, and Holiday. The modernist paradigm is focused on creating individualistic “statement” buildings that have no relation to their neighbors. Context, pattern, time-tested design, rules, and fabric are tossed into the waste can. Instead, the focus is on innovation, which tends to result in odious, unlovable buildings that almost never draw affection – particularly when modernist buildings are grouped together in a neighborhood (is it even possible to group together “statement” buildings into a coherent whole?) Instead, modernist buildings are parasitically, invasively, and incrementally added into an existing traditional neighborhood, allowing the modernist building to piggyback on the affection for the traditional neighborhood. Tragically, over time, this incremental invasion by modernist buildings erodes the affection felt for the traditional neighborhood as it slowly loses its charm to the invader buildings. Each modernist building added to a traditional neighborhood is a new blight on the neighborhood, and the neighborhood takes another step toward being unloved. Modernist buildings, by design, stick out like a sore thumb. They take pride in the amount of shock value they induce. They thumb their nose at conventions and timeless design and fitting into a context. A modernist building tends to call attention to itself, which is most unfortunate for the neighborhood, as the modernist design is so commonly wretched. It is said, rightly, that imitation is the highest form of flattery. When a building design stands the test of time and is loved for many generations, it is natural and desirable that it be mimicked by new buildings. Traditional buildings, by definition, have long been loved and should therefore become a pattern that should be followed by new buildings. Tellingly, the chaotic, no-rules modernist building tends to NEVER be replicated. I know of no examples. One of the things we tend to love is a city that shows order, repetition, balance, and symmetry. Without an emphasis on repetition, it seems chaotic, like no one is in charge, which is disconcerting. Diversity and variety should be introduced gently so as not to take away from an overall design pattern (such as building height or shape). Variety might be introduced through differences in fencing style, color, or cornice, for example. Much of Pearl Street Mall is a good example of lovable repetition with a dash of variety. Given all of this, it is an atrocity that in America, communities have been saddled for several decades by federal historic preservation guidelines that REVERSE this time-honored method I have just summarized. In historic neighborhoods full of lovable, charming historic buildings, the federal historic preservation guidelines PROHIBIT additions to existing traditional buildings that mimic or are even compatible with the existing traditional building style. Instead – insanely – the federal guidelines REQUIRE that the addition to an existing historic and traditional building be “of its time.” Today, since “of its time” buildings happen to be unlovable modernist buildings, federal historic preservation rules make it mandatory that lovable historic buildings be degraded in all their charm and glory by being appended by a hideous modernist abomination. Most modernist architects proudly – triumphantly – design “of its time” modernist buildings when new buildings are to be built in a traditional historic neighborhood. Who needs enemies when we have ourselves? Today, it tends to be that only arrogant, elitist, pompous modernist architects who have “drank the Kool Aid” admire modernist buildings. The rest of us are too stupid to realize the brilliance of modernist buildings. Unfortunately for me, it would seem that nearly all architects who design buildings in Boulder prefer modernist design, which makes it extremely likely that modernist design will once again be the dominant (exclusive?) design at the hospital site being redeveloped. I believe that more modernist building design is likely to meet with strong citizen opposition to the redevelopment of the hospital site, thereby undermining this golden opportunity to have the City show how compact development is properly and popularly done. Having said all of this, there are one or two advantages to modernist buildings. First, they are so strongly disliked by so many people that they will therefore not see a significant increase in price over time. They will not retain their value. Or, if there is an appreciation in housing value in the community, the appreciation for modernist homes will be lower than the appreciation that traditional buildings will see. Very few people will be interested in buying a home that seems so dated and so bizarre, which will put downward pressure on the price of the home. Because modernist homes will be so difficult for an owner to sell, such homes will be relatively affordable to lower income people who don’t have much choice about how attractive their homes might be. A study from the Netherlands showed that ‘even controlling for a wide range of features, fully neo-traditional houses sell for 15 per cent more than fully non-traditional houses…London terraced houses built before the First World war went up in value by 465 per cent between 1983 and 2013, compared to 255 per cent for post-war property of the same type. Beauty sells, but because it’s rare, it’s exclusive. So providing more affordable housing in an expensive housing market is one benefit. Another benefit is that because modernist buildings tend to be so unlovable to the vast majority of people, modernist buildings will provide more jobs in future years because they will be more frequently demolished and in need of reconstruction to other buildings. It is far past time that America end its failed architectural experiment of modernism. The modernist paradigm has destroyed lovability throughout the nation, and has bred widespread cynicism about our ability to create buildings worthy of our affection. Our quality of life and any hope of civic pride depends on our returning to the tradition of using time-tested building design. West, Ed. “Classical architecture makes us happy. So why not build more of it?”, The Spectator. March 15, 2017. How Can Quality-of-Life and Sustainability Advocates Galvanize Support for Their Cause? 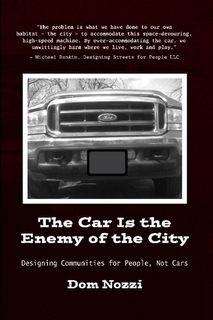 Advocates for quality of life and sustainability — with regard to how we design our communities and our transportation system – often scratch their heads over the lack of enthusiasm from citizens to protest serious harms being committed in communities, and a lack of passion to support like-minded political candidates for elected office. Where, for example, is the quality-of-life version of the fervent anti-abortion movement? Or the traffic calming version of the right-wing Tea Party? How, in other words, do we motivate the political left wing to march in the streets? To boycott? To dedicate their lives to ending the ruinous destruction wrought by state departments of transportation and their over-sized monster roads? Recently, a friend and political ally indicated that he was optimistic when 85 people in his community quickly volunteered to help counteract a right-wing effort to roll back conservation efforts in his community by vowing to attend future county commission public meetings on the topic. But in my experience, out of the many who solemnly swear to join his cause, only a tiny number will actually show up for any meetings. Soon, no one for “our side” will attend the meetings. “Volunteering to help” is just too easy. Long-term commitment is much more difficult to inspire – particularly on the political left. What can be done to galvanize the political left? To sustainably energize those who seek better community design, more humanized, walkable streets, or more effective conservation of our sensitive natural areas? In my opinion, a way must be found to instill a secular version of religious fervor in liberals and leftists. Marxism was able to do that in the past, but the socialism he and his advocates preached has been almost entirely discredited or become irrelevant today. Another handy motivator is a compulsory military draft, which the war-mongering US has learned to avoid forever more in its on-going efforts to retain public support for American “global policeman” actions around the world. The mandatory draft during the Vietnam atrocity inspired long-term fervor and effective protest to stop that madness. War hawks have learned not to make the mistake of instituting a draft again. What are some of the remaining tactics and events most likely to motivate progressive advocates in the future? 1. An enormous (and preferably abrupt) increase in the cost of gas, utilities or food. The important caution, however, is that these can lead to reactionary, militarized, autocratic politics. 2. A severe economic recession or depression, although Maslow’s Hierarchy of needs instructs us that progressive politics often plays second fiddle when one needs to first figure out how to put food on the table. 3. Severe traffic congestion, although this can counterproductively and ruinously lead uninformed communities to widen the road. Road widening as a response to congestion, however, is now much less likely given the extreme financial crisis being suffered at all levels of government. 4. A martyr, although people to be influenced must first be supportive of the action urged by the martyr. Ghandi instructed us that non-violent protest is useful for catalyzing action, not for changing minds. 5. Creating a local and much-loved “commons” at the local level. I learned about the concept of a “commons” from All We Share, a book recently written by Jay Walljasper. Creating a “commons” is, in my view, perhaps the most effective and therefore important tool available to progressive advocates seeking better community and transportation design (most of the others on the list above are outside of the control of advocates, after all). What are examples of a “commons”? Communities create a commons when they establish a well-used pedestrian mall (a town center street where cars are prohibited), a public square, a public park or trail, a public meeting hall, and even a public sidewalk. It is, in other words, a place where members of the community freely, easily and regularly meet to share conversation, fun, passion, politics, community celebration, and an appreciation for their community or its natural environment. In Boulder, Colorado where I live, examples of a commons include Pearl Street Mall, the Boulder Creek Greenway Path and the well-used, publicly-owned greenbelt trails. Each of these much-loved community features have effectively built an army of people motivated to attend Council meetings and fight for those “commons” places. They fight out of a passion for the public square or the forest or the trails or the lake they have grown to appreciate and love after spending time in such a commons. 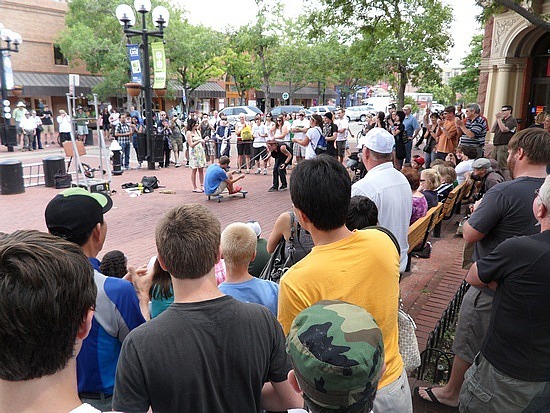 Who in Boulder, in other words, can fail to see how so many of its citizens have been forever galvanized to fight to protect Pearl Street Mall? Or the Boulder Creek Path? Or have a long-term commitment to wanting to see MORE such places created in Boulder? As a result, for other communities aspiring to achieve the many admirable accomplishments Boulder now enjoys, courage and wisdom is needed to create a much-loved and well-used commons, where progressive politics and progressive evangelists can be nurtured and motivated to attend meetings. And work to elect sympathetic political candidates. An important reason I fought for the Hogtown Creek Greenway when I was a planner living in Gainesville, Florida was to create such a commons to build a progressive army willing to yell and scream at commission meetings. A commons is a powerful way to recruit progressive action, educate citizens, keep issues in front of the public, and provide motivation that arises from a deep love and need to protect the commons. What are the potential places where a “commons” can be created in your community? Does your town center have a short street section that can be converted into a car-free pedestrian mall? (at least temporarily) Can an underused public park be made more of a popular commons by scheduling frequent programs such as concerts or festivals at the park? Without such a commons, the political left has very little ability to meet, agitate, educate and motivate. With a commons, advocates for progressive change are much more likely to realize durable, long-term success. A well-used pedestrian mall or greenway trail, after all, is much more likely to build a sustainable army of evangelists for better streets and healthier creeks than pamphlets, door-knockers, phone calls, or even efforts to elect champions for a better community. After all, if there are insufficient numbers of galvanized citizens in the community – borne of a “commons” for many issues on the political left – even election of a “savior” will do little good. Creating a commons should be at the top of any agenda to create long-term support for a better community. Visit my urban design website read more about what I have to say on those topics. You can also schedule me to give a speech in your community about transportation and congestion, land use development and sprawl, and improving quality of life. It is essential that when the political winds are right, the good-guy bureaucrats need to be given the chance to shine so brightly that a change in the elected officials of a town either does not happen, or when it does, can be weathered. Such bureaucrats “shine brightly” by preparing and having adopted transportation and land development policies that are both effective in achieving progressive ends, and are “bullet proof” enough to be able to survive a change in the elected officials. Ironically, in my experience working as a town planner in the southeastern US, we “smart growth” advocates are better off with Republican majorities, since they tend to have significantly more backbone than liberals, and we need backbone to save ourselves. So the key is to elect a right winger, and then get she or he on board with an issue. Again, in my experience, local government planning staff have been much more timid in recommending progressive policies to politically liberal elected officials, because staff have so often gotten their heads chopped off when they propose policies the majority of elected officials had previously given a lot of lip service to. Since bureaucrats can usually survive changes in elected officials, I’ve come to learn that it is critical who the local government is using to hire the bureaucrat (a city manager or department heads, for example), since the staff will often be in place for a long time. We need a manager or director who will insist on only hiring staffers who are progressive on transportation and land use issues.